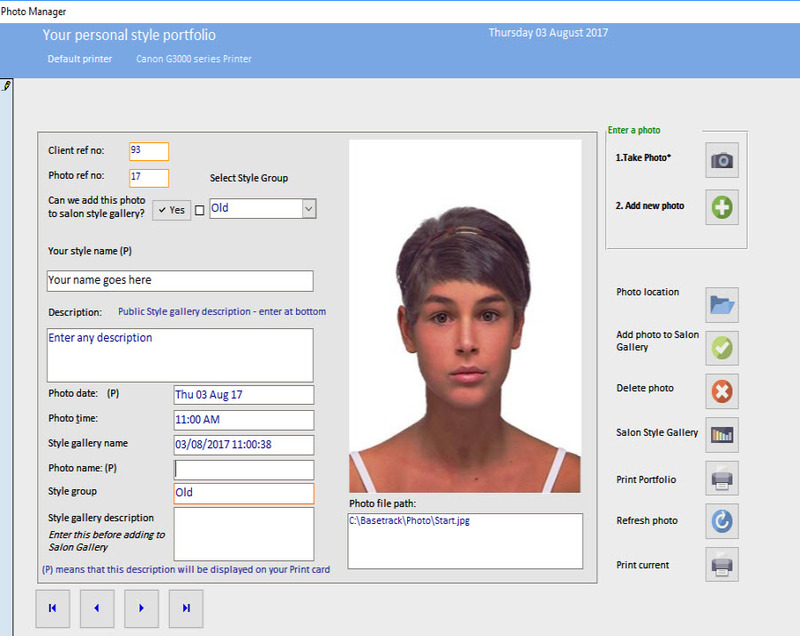 This feature allows you to capture and record your Clients' ever-changing styles – of course, you will need a digital camera or smart phone to do this. Once the image has been taken it can be stored on the system so that you can easily refer back to it. You also have the option to add the images to the Salon's own style gallery (you must of course ask the client if they agree to this), and use it to show other clients style ideas and examples of work you'd done. The system is able to print the image your Client wants a picture of. Whether you want to charge for this service is up to you.